It's about more than money, much more. Petra Development and Tourism Region Authority (PDTRA) Chief Commissioner, Falah Omoush, signed with Founder and Chief Executive Officer of KBW Ventures, HRH Prince Khaled bin Alwaleed bin Talal AlSaud, an agreement that includes several initiatives that aim to bolster the economic prospects of the historic site’s tourism sector. The proposal aims to assist in further developing the tourism sector in the ancient city of Petra while simultaneously contributing to maintaining the site’s authenticity and heritage. As part of the proposal, KBW Ventures will donate a number of specialized electric vehicles to transport the multitude of tourists and visitors within Petra. The vehicles will be used from the Visitor’s Center through the Siq, ending at the treasury. Significantly, the restoration of the famed Petra stairs that lead to one of the world’s best known heritage sites, The Monastery known as El-Deir, will also be undertaken as part of the proposal. The initiative is expected to greatly improve visitor experience, together with local economic prospects. The agreement also proposes establishment of a shelter for working animals, aiming to enhance overall animal welfare and ethical treatment of animals at Petra. The electric vehicles and care centers combined will modernize the touristic site’s operations and enhance economic prospects. Prince Khaled stated that his commitment to investing in and supporting the Hashemite Kingdom of Jordan naturally stems from the longstanding brotherly relationship between the country and the Kingdom of Saudi Arabia. Prince Khaled affirmed that the various socially-conscious projects underway in the Hashemite Kingdom aim to enhance services and the infrastructural development for the people of Jordan. 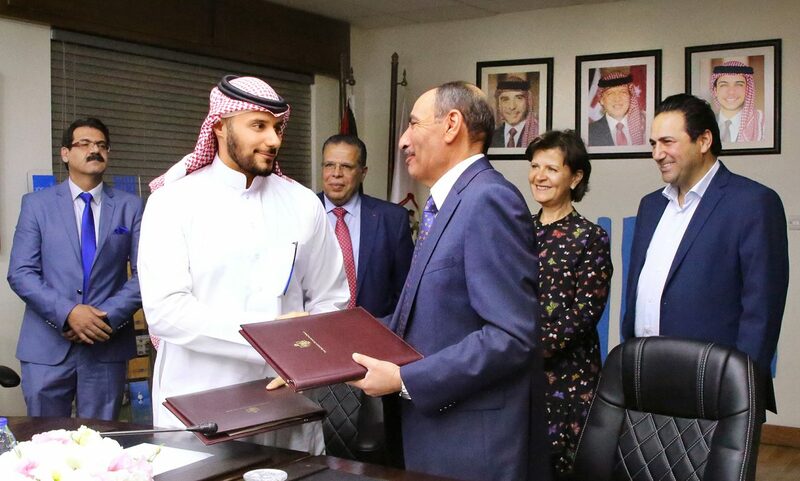 His statement was issued during the signing ceremony for between PDTRA and KBW Ventures Jordan in the presence HE Minister of Tourism Lina Annab, and other dignitaries from the Jordanian Tourism ministry.